Not all cosmetic procedures involve going under the knife as there are a wide range of non-invasive cosmetic treatments that are available to improve the look and feel of your skin. The results are not permanent so you'll need to have the treatments again once the initial effects start to wear off and this is worth bearing in mind as the costs can soon mount up. Here are some popular non-invasive cosmetic treatments and what you can expect if you have them. Botox (now known as Vistabel®) is one of the most popular forms of non-invasive cosmetic surgery due to its ability to smooth lines and wrinkles. It works by temporarily freezing facial muscles, which is what gives certain celebrities a permanently surprised expression as it can effectively paralyse the muscles with repeated injections. For more information on this cosmetic procedure, see our article on 'Botox and Restylane'. Restylane injections can plump up the volume of your lips, especially if your lips have begun thinning due to age. 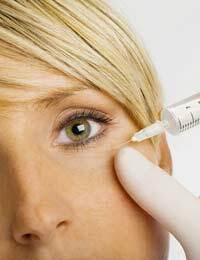 For more information on Restylane injections, see our article on 'Botox and Restylane'. Face peels are similar to having your face exfoliated but they go beyond this and involve chemical products to intensify the exfoliation process. After the solution has been applied to the skin, dead skin cells will be shed over the next two to three days and are replaced by the healthier ones underneath. Facial peels can be beneficial for improving the appearance of ageing skin or skin that has been affected by acne. The end result should be skin that looks healthier and smoother with lines and wrinkles appearing reduced and less obvious. Like facial peels, microdermabrasion involves deep exfoliation of the skin that removes dead skin cells to allow fresher and smoother skin to shine through in their place. One session of microdermabrasion can be enough to achieve this effect while several facial peels may be needed. If you're planning to have Botox or dermal fillers as a cosmetic treatment, microdermabrasion can make their results last a bit longer. Your skin should settle down quite quickly afterwards. After having this cosmetic treatment, your skin should instantly appear smoother and plumper in the areas that have been 'filled' but you can expect to experience some redness, swelling and bruising initially. Dermal fillers can fill out troublesome lines and wrinkles to make them less noticeable. Restylane and Perlane are often used (with the former being more common for fine lines and wrinkles and the latter being better for deeper lines, wrinkles and folds) but there are other options such as Hydrafill and collagen. This usually involves laser hair removal and can be done on various parts of the body, including the face, back, legs, arms, underarms and bikini line. A 'patch' test should be conducted at your consultation to ensure that there won't be any adverse effects when the treatment is extended to a wider area. In most cases, up to six sessions (with 4-6 weeks between each session) may be necessary to fully complete the treatment. Your skin may be red for a few hours after each session but you should be able to resume your normal activity straight away otherwise. Non-invasive cosmetic treatments may not be as intrusive as cosmetic surgery but there can still be risks attached to having them done. As with cosmetic surgery in general, you should book a consultation at the clinic before having a cosmetic treatment. This gives you the opportunity to find out if the treatment will definitely suit you, as well as a chance to questions and make sure that you're fully brief on what to expect before, during and after the treatment.